A new four-door saloon is in the works over at Aston Martin HQ in humble Blighty, but they've opted to flog the motor exclusively in the Middle East. British car firm Aston Martin has announced a brand new luxury car that it's proudly tagging as a 'super saloon'. The new ride will take up the 'Lagonda' nameplate, after the line of luxury AM saloons - of which just 645 were built during its 12-year run - that began with the Lagonda Series 1 back in 1974. “The new model has been created as a piece of exceptional automotive art. 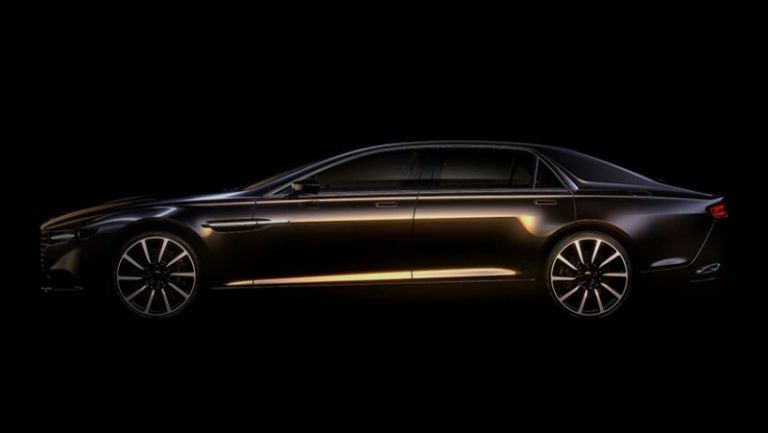 It has been designed and developed entirely in keeping with the spirit and ethos of previous Lagonda super saloons – notably the William Towns Lagonda – and as a tribute to this car it proudly bears the Lagonda nameplate," says Marek Reichman, Design Director at Aston Martin. “The debut of this luxury super saloon in the Middle East market will be an exciting moment not only for Aston Martin, but for discerning customers who are seeking the ultimate in luxury and personalisation," explains Reichman. Sale of the new Lagonda saloon is by invitation only, and Aston Martin is keeping hush on the pricing for now too, although it did say the mark-up would be "commensurate with the car's exclusivity, quality and luxurious nature." We're pretty sure that's PR chatter for a blinking fortune. If you're saving up for one of these premium four-doors, it might take you a while, so why not check out T3's Best New Cars in 2014 round-up?